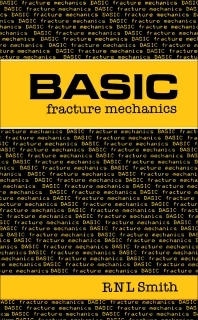 BASIC Fracture Mechanics: Including an Introduction to Fatigue discusses the fundamentals of fracture and fatigue. The book presents a series of Beginner's All-purpose Symbolic Instruction Code (BASIC) programs that implement fracture and fatigue methods. The first chapter reviews the BASIC, while the second chapter covers elastic fracture. Chapter 3 deals with the stress intensity factors. The book also tackles the crack tip plasticity and covers crack growth. The last chapter in the text discusses some applications in fracture mechanics. The book will be of great use to engineers who want to get acquainted with fracture mechanics.